A title and error description that is unreadable. Directions to press keys and do things that aren't options on the dialog. Goofy parenthesis placement. What does it mean to "go back"? What are the consequences of manual processing? 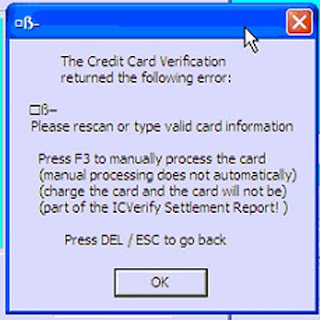 Press DEL or ESC after or instead of pressing the OK button?